See a page from Sonatina "La Samba"
Lively and accessible, Sonatina "La Samba" combines the rhythmic vitality of a Brazilian dance tradition with the elegance of Viennese classical sonata. Typical samba rhythms are taken as a starting point, with repeated-note rhythmic figures suggesting the traditional use of the tambourine. Yet it is not a samba, nor does it sound eighteenth century. Clichés from traditions not normally associated with each other are combined, taken out of context and transformed. 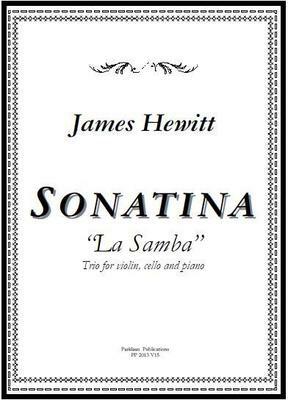 Questions from customers about Sonatina "La Samba"
Items related to Sonatina "La Samba"
What do you want to know about Sonatina "La Samba"?